Located at 2490 Yonge Street in Toronto, Pinto Gold and Jewellery Buyers is ideally located just north of the Yonge and Eglinton intersection. Our shop can be found at the corner of Yonge St. and Castlefield Ave in one of Toronto’s most popular neighbourhoods. Pinto Gold is located amongst many high-end shops, restaurants and entertainment venues. We are conveniently located near the Yonge Eglinton Centre, and close to Eglinton Subway Station. Pinto Gold and Jewellery Buyers invites you to visit our Yonge and Eglinton cash for gold location, where you’ll benefit from top-notch customer service throughout your transaction from some of Toronto’s most experienced appraisers and jewellery buyers. We look forward to working with you! In addition to using our cash for gold services, you can also browse our wide selection of quality gold and diamond jewellery for sale, high-end watches for sale and more to find the perfect piece. Pinto Gold is easily accessible by car or public transit. 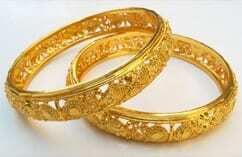 We serve customers like you from all over the GTA and beyond with all their gold and jewellery buying needs! Take the Yonge Street exit south towards Toronto. Continue 4.8 km south on Yonge Street to Pinto Gold, which is located on the west side, just before Castlefield Avenue. Take the QEW East to Highway 427 toward Highway 401 East. Continue east on Highway 401 and take exit 369 for Yonge Street South. Continue south on Yonge to Pinto Gold. Via TTC: take the Yonge-University line towards Finch Station and get off at Eglinton Subway Station. Walk 550m north toward Pinto Gold. As a fully licensed pawn broker and gold buyer with more than 20 years of experience serving Toronto and the GTA, our experts can help you get top dollar for your gold jewellery, silvery jewellery, gold coins, luxury watches and more! Visit Pinto Gold and Jewellery Buyers at our convenient Yonge and Eglinton location today, call us at 416-481-9846, or contact us online to discover how just how much your unwanted gold is worth!